Outfit Health is a health & lifestyle coaching program provided by us at Outfit Namibia since June 2014. 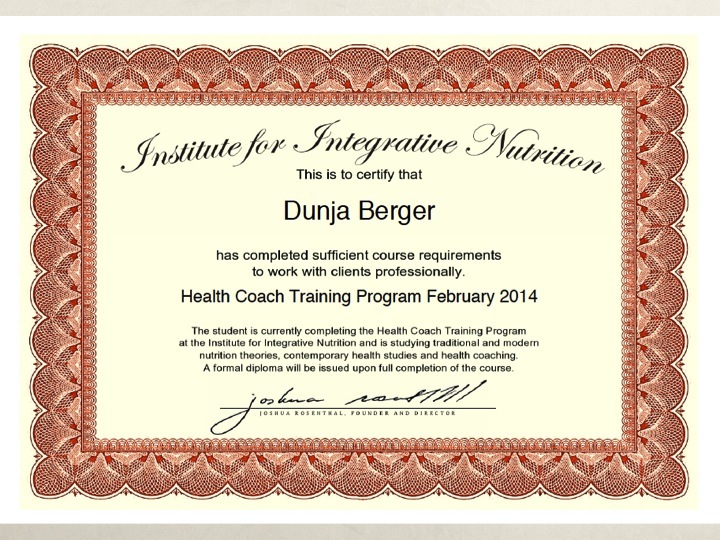 Dunja Berger, Managing Partner of Outfit Namibia, has a health coaching qualification from the Institute for Integrative Nutrition, New York. (IIN), where she studied integrative nutrition theories,coaching practices and has been exposed to all major dietary theories worldwide. There is no “one size fits all” solution to eating. As IIN puts it, “one man’s food, is another man’s poison” and so it is for life. What works for you, might not work for your parents, your boyfriend/girlfriend or next door neighbor. We’re individuals, with complex bodies and varying nutritional needs. We can’t all follow the same diet, although diet authors beg to differ. So rather than following the latest fad in dieting, its best to go with what’s right for you and your body! – The Emotional Eater : You know you’re not hungry, but food fills a void you’re only too happy to fill! – The Addict : Sugary Treats/ Fast Foods /Toxic People – you know they’re bad for you, but you just can’t help yourself! – The Adrenaline Junkie: Addicted to the high that caffeine, alcohol, cigarettes, prescription drugs or chocolate gives you? – The Weight Watcher: You count your calories, you eat non-fat foods and you’re nowhere near your ideal body weight! The truth is, we all love to indulge in unhealthy foods & toxic relationships. We all love to use food to celebrate the highs and lows of life. We often grab convenience foods instead of preparing home-cooked meals for our families. And everyone has been on a diet to loose weight or gain control of bad eating habits, at one point in their lives. Only to realize that the weight isn’t disappearing and neither are the emotions that made one gain weight to begin with! The truth is, we use food and bad lifestyle habits to avoid facing the emotions our thoughts are creating based on what we are experiencing in our reality. We choose to create these drama’s for ourselves, because it lets us avoid taking charge of what’s really bothering us. Sound familiar? You’re not alone, that’s why a health coach can help! How is coaching different from seeing a psychologist/dietician? A health coach doesn’t replace the role of a dietician, but has various differences in its approach. Health coaching fills the role of the mentor, is client driven, and doesn’t diagnose or treat, but rather assesses the overall wellbeing, incorporating factors like relationships, career, physical exercise, spiritual practice, education, finances etc in addition to the client’s health. A Health Coach does not diagnose, treat, or take responsibility for bringing about wellness in a person’s life, but rather guides and supports the development & progress towards each person’s health & lifestyle goals. How Health Coaching Can Benefit You! It focuses not only on eating habits, but also on how your relationships, career, spirituality,home environment, finances, joy, social life, creativity, health and physical activity influences your lifestyle choices! More importantly, a health coach is your mentor, confidante and right hand in whatever health & lifestyle goals you wish to achieve and haven’t had the courage, strength or motivation to achieve on your own! Book your FREE HEALTH HISTORY consultation today and find out how health coaching can benefit you! Posted on September 30, 2014 September 30, 2014 by Dunja BergerPosted in About Us, Lifestyle & Health, Namibia, Weight-lossTagged binge eating, dietician, dieting, diets, Dunja Berger, emotional eating, health, Health Coach, health coaching, health counselling, health doctor, mentor, Namibia, nutritionist, OUTFIT NAMIBIA, sugar addict, workaholic.